We'll like to take the opportunity to thank all of our customers for your continuned support. We will be relocating to 55 Market Street @ Raffles Place in August 2013. Stay tune for more exciting promotions as we bring you the best deals in town! Loans Brokerge Solutions to bring you Savings and Smiles. 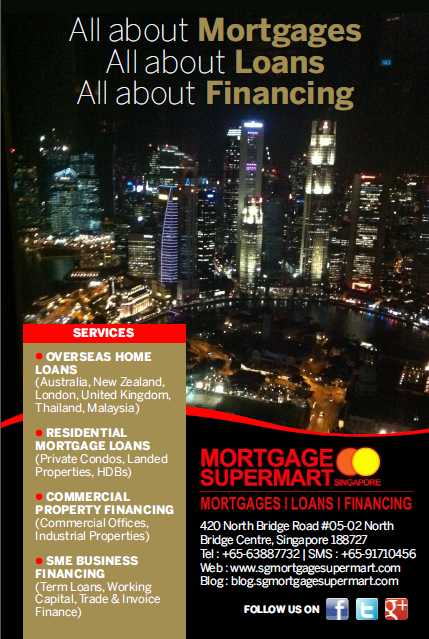 Mortgage Supermart Singapore - Loans Brokerage Solutions to bring you Savings and Smiles. About Mortgages, About Loans, About Financing.